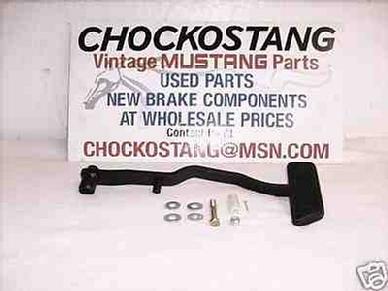 Brand New SSBC Disc Brake Pedal for 67 68 69 Mustang Cougar. Works on 70's by using a 67-69 Booster, won't work on 70 Bendix. YOU HAVE YOUR CHOICE-Auto Pedal, or Manual-SPECIFY in communications. Guaranteed SSBC Quality, Ready to Ship.